RITA DATE has an interesting take on the popular cookery show MasterChef. The show has aspiring cooks toiling over complicated dishes. These are then judged by experts who use adjectives such as “grainy”. She says MasterChef and other such shows aim towards cultivating a “discernible palate”. While this is good to an extent, it may not be good news for home cooking. A house full of people with “discernible palates” makes matter difficult for the cook in the family, Date says in her book, What’s for Lunch? She asks people to stop being spectators to cooking. For one, people who cook every day understand the effort that goes into creating good food. Popularity of food shows proves that people enjoy good food. But it is no mystery why home-cooked meals have become such a rarity that books need to be written about it. Working in the kitchen became a chore when women were able to put their education to use and get jobs. They now have less time to cook food. 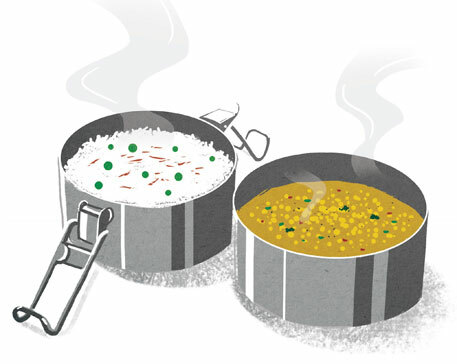 Processed foods entered Indian homes and made a permanent place for themselves. These processed foods are contaminated with toxins: pesticides, trans fats and colours. Even common food ingredients such as salt and sugar are bad for health. Heart diseases, hypertension, cancer, diabetes and obesity are just some of the problems linked to unhealthy food. Anyone who has ever fallen seriously sick would understand that prevention is better than cure. But prevention is not an easy task in the modern world. The book reveals that the situation is worse in India than in the developed world. For example, white flour or maida in India is whitened unnecessarily using bleaches; the so-called healthy olive oil in India is actually refined oil made from waste left after oil extraction. Date cautions that such ingredients can make even home-cooked food unhealthy. What’s for Lunch? guides the reader through the maze of what is available to us and how to make the best of it. 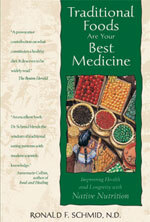 The author is a nutritionist who was born and brought up in the US and shifted to India in the 1980s. She sees an increasing number of obese people in her practice. The book was inspired by the problems she encountered in her patients. Cooking food at home is the book’s basic recommendation and Date suggests how people can fit it in their busy lifestyle. She even provides ideas on quick ways of cooking like using pressure cookers. Besides saving time, such methods help preserve nutrients too. Date says that cooking at home helps control the use of ingredients. The book has an interesting comparison of calories in home-cooked food and the same food made in a restaurant. The difference is striking: a plain dosa made at home has just 120 calories, while the one in a restaurant has 240 calories. An alooparantha made at home is 200 calories while that in a restaurant has as many as 360 calories. The focus of the book is on lunch, the meal most often eaten outside home. There is a temptation to use processed foods or just eat out. Preparing and packing the tiffin in an interesting way can make this meal healthy. The book can be divided into two sections—one deals with nutrition and the politics of food and the other provides simple recipes to cook healthy, wholesome food. Though most of the recipes are put together, there are some that crop up in the middle of a serious dialogue on nutrition and politics. But these are linked with the dialogue and so do not appear jarring. Date has explained macronutrients (proteins, carbohydrates, fats) and micronutrients (vitamins and minerals). There is also a chapter on the medicinal value of foods. For example, fenugreek seeds are rich in calcium and iron and also have the ability to lower cholesterol and blood glucose levels. She explains the body’s requirements and suggests an optimum balance between these ingredients. The book shows how an optimum combination of proteins and carbohydrate can be achieved. For example, adding crushed peanuts to any vegetable balances the two nutrients. Cooking has to be made enjoyable and this can be planned in advance. Decorate the kitchen; add a few time-saving tools such as mixers; put on some funky music and you are set to shift back to healthy home-cooked food. 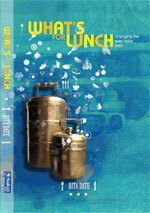 The book provides tiffin ideas from six major cities of India—Chennai, Delhi, Kolkata, Ahmedabad, Mumbai and Bengaluru. Traditional local food has been given priority but there are also healthy recipes for some international snacks like sandwiches. The book also explains how the lunch box ensures that we eat pre-decided amounts of food. The recipes demand that a variety of vegetables are consumed during the day in large quantities. The underlying message of the book is that eating fresh, home-cooked food is best for health. Owning a three-tier lunch box, it seems, is indeed a good idea. This BOOK traces the cause of many chronic health problems to our modern diet and shows how a return to traditional foods can improve one's wellbeing. Modern medicine now recognises that the present-day Western diet is responsible for many of today's chronic illnesses. Nutritionists and anthropologists have noted the decline in health that accompanies indigenous peoples' transition from traditional to modern diets. In Traditional Foods Are Your Best Medicine, Ron Schmid explains how traditional diet can help reduce the risk of heart attack by 50 per cent; fight allergies, chronic fatigue, arthritis, skin problems and headaches; help recover from colds and flu; and increase life-expectancy. Chapters focusing on the major food groups and health goals enable the reader to tailor a diet to his/her special needs. This BOOK is divided into two parts. Part I focuses on fermentation of traditional foods and beverages, such as cereal and milk products, in the Orient, Africa, Latin America and other areas. 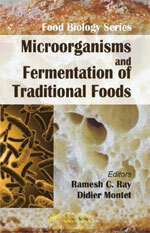 Part II addresses fermentation biology, discussing specific topics, including microbiology and biotechnology of wine and beer, lactic fermented fruits and vegetables, coffee and cocoa fermentation, probiotics, bio-valorisation of food wastes and solid state fermentation in food processing industries.